I facilitate lifestyle changes or shifts with compassion, professional practical knowledge and understanding based on experience. I believe that real estate is a client-centred endeavour and whether you are buying, selling or both, it is the client that shapes and guides my work. My "Selling by Listening" philosophy means that I hear what you want, need and what your limitations and parameters are. I work within that framework as a consultant, advisor and facilitator. My calm style and logical approach to business on your behalf prepares you for a transaction when the time is right. As a "full service" provider, I will be available before during and long after a sale, completing all the necessary services along the way with integrity and dedication. I am proud to be an award-winning agent, having recently won the prestigious Chairman's Award for sales excellence, and am pleased to be a very active and successful part of the top of the real estate sales team at Chestnut Park Real Estate. Call Gay For All Your Real Estate Needs! Gay, I am writing to thank you for your very personal, professional and empathetic help and for guiding the transaction to its conclusion. I could not have wanted better help and advice. We have worked with Gay on a number of occasions and have always been pleased with the outcome. She is very knowledgeable, especially about the condo market, and her quiet, low key but firm style is very effective. She is a pleasure to deal with. Gay thank you for your guidance and hard work in selling my condo at Scrivener Sq. I really appreciated your help preparing the suite for sale and your staging suggestions and changes made a difference to the appearance and appeal. Your marketing brought in more agents with buyers thatn I would have expected and did contribute to the final sale price which was astounding. Your calm and capable handling of the multiple offer process was professional and brought us the resuts we wanted. I would recommend you as an excellent real estate agent with no hesitation. "I had the great fortune to select Gay MacLeod as one of the agents I would interview to sell our home. From the first minute or two of our interview I knew she was the right choice for me. She is consistently business-like, well-prepared and efficient, while maintaining a calm, confidence-inspiring demeanour. Gay listened carefully to our rather unique requirements - because neither of us were in the city, we needed an agent who could also be our point person to help manage getting our home ready for sale. She brought painters and stagers through the home to give quotes and helped us select great service providers of high quality. She monitored their work, and even went out to source wallpaper for us. Whatever needed doing, she did. When prepped, the house looked fabulous. Gay's marketing strategy worked brilliantly, and we sold on the first day offers were accepted, choosing between multiple offers. We have bought and sold many properties over the years, and Gay's full service approach is unique in our experience. She has been consistently available to us - typically responding to messages within minutes by phone and email. We feel she was way more than a great agent - she was a real partner in our sale process. When we buy, we will definitely be working with Gay again. I recommend her whole-heartedly." We put our house on Gormley Avenue up for sale just as the Spring market ended. While others houses had sold in days just a few weeks earlier, it looked like we were too late. Gay said " there are always going to be buyers for your house." We received a couple of lowball offers and Gay recommended that we not accept them. She was right. Very shortly thereafter the right couple came along and made us a very good offer for our house. Our success was based on working with the right person and the right firm. Gay knew her market and how to work it. She was friendly. professional and effective. Judy and I would be pleased to speak with people considering using Gay Macleod to be their agent. Just a quick note to thank you for being so incredibly helpful to put us in a wonderful apartment at the Avoca. We enjoy the space and especially the balcony immensely. The view to the south-west and the north is fabulous. We also appreciated your help in selling our apartment at the Lonsdale. Your professional guidance found the right buyer for the suite. It was a great pleasure for Beatrix and for me to work with you. It is my great pleasure to write about my experience of engaging Gay MacLeod to help me buy my next home.Viewing properties with her was really enjoyable – she spent time getting to know me and getting a sense of what appealed to me but was also prepared to show me a few things that I would not have considered, just to give me more information about the current market. Once we found the property I wished to bid on, she was incredibly supportive in helping me reach my goal of attaining it, with humour, sensitivity and grace. She was very prepared when she went in to negotiate on my behalf, which made a potentially fraught experience very calm. She went into the meeting with research and information on sales and statistics that backed up our offer to them. She did not allow them any choice but to accept it as she answered all their questions with facts and solid arguments. She had a chance to really put her ‘ducks in a row’ and knew how she would approach it with them so there was no argument or room to negotiate further. I was fully confident that she would do the best job she could and really act in my best interest. I would very happily recommend her to anyone looking to work with a thoughtful, charming, very competent agent. Gay, I just want to tell you what a pleasure it was working with you! Always calm, always smiling! You were such great help staging the condo to look its very best! Then, as I was away for 2 weeks, patiently keeping me informed by e-mail and finally selling it for full asking and the closing date I had requested!! Extremely well done!! "Peggy and I spent over one year looking for a property that would suit our needs moving into retirement. We met Gay at an Open House and immediately knew that she was a good fit for us as an agent. Gay has many attributes that make her easy to deal with. She is patient, listens to what you are saying, and gives you a tremendous feeling of confidence once a property is chosen. She works very hard at making the transaction as stress free as possible. 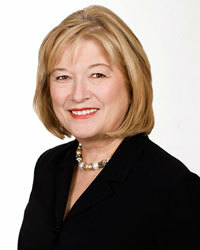 Gay Macleod is a true professional and we wouldn't hesitate for a minute to refer business to her. How does one describe a Good Real Estate Agent? Knowledgeable? Reliable? Experienced? Honest? Trustworthy? Prompt? Conscientious? A good Listener and a good Communicator? One who has Integrity? How does one describe Gay MacLeod? One who is ALL of the aforementioned and much, much more! I was very fortunate to have Gay recommended to me by friends who previously used her services and their reports were nothing less than glowing! Gay was indeed the lady I needed to help me with my relocation from Vancouver to Toronto. My wife Carolyn and I recently sold our apartment at 10 Avoca Ave and used the good office of Gay MacLeod of Chestnut Park Real Estate Limited. We chose Ms MacLeod as she lives at Avoca and publishes an intelligently written and informative monthly newsletter on recent real estate activity in the Toronto market. It was obvious that she knows the market and is a booster of the Avoca Apartments. Carolyn and I have no hesitation recommending the services of Gay MacLeod to any person who may be thinking of selling or buying a residential property in Central Toronto. My mom and I selected Gay to look after the sale of her apartment in downtown Toronto . From the first interview, Gay was wonderful to work with. It was a very difficult time for my mom – she was moving to a new city after 30 years in the same home. My sisters and I live out of town, and Gay was always available for my mom, and treated her and us with kindness and respect. My mom commented that she was like another daughter! Her competence was instrumental in assisting us to sell quite quickly, even in a more difficult market. I would highly recommend Gay. We were just moving from the USA and Gay's initial market and geographical orientation to the city was extremely useful. She went above and beyond her duties to make sure we had a better understanding about Toronto before we made our final decision. The speed with which Gay made things happen was impressive and made it all seem so easy and direct. Also, her calm confidence was itself calming to us and it was the least stressful real estate experience we've had! We are thrilled with the home we recently purchased with Gay MacLeod's expert assistance. Gay has three sterling qualities that make her outstanding in Toronto's dynamic real estate scene: first, she is open-minded. She really listened to what we were saying and took the time to understand our values. Second, she is intuitive. Hearing what a client says is important, but a highly-tuned sensitivity to their needs is vital in building trust. Third, she is human. She became a member of the family during our home search. She evaluated properties not just with her own eagle eye for value, but through our eyes as well. When we found the house we wanted, she put her own life on hold to negotiate the purchase. Gay was able to convey to us what this house meant to the vendors (it had been their family home for over 50 years) and persuaded them to accept our offer over an unconditional offer. She treated us like her first and only clients. Gay - thank you so much for finding my perfect house for me! You really listened to what I was looking for, and were so patient. You showed me the range of product available in my price-range - and a few standard deviations above and below!You knew right away that I would love this property - but you made sure that I was purchasing with my head, not only my heart! Your instincts were bang on - and I really appreciated your insight into the crazy north Toronto bidding war mentality!When we finally found "my house" you were able to predict how the bidding would go - and even though I was at work on bid day - you really made it easy to win!I continue to recommend you to all my friends looking to buy! You are a treasure. As first time home buyers we were so thankful to have Gay as our Agent. Gay was always honest and well informed and she really worked hard to find the right neighborhood and home within our budget. We were amazed with Gay's patience and kindness as we took on a challenging search - she has a wonderful sense of calm in any situation. We are thrilled with our new home, and would like to thank Gay for her help in making our first big step into the property market, a truly pleasant one. Gay MacLeod was a great partner in the sale of our house. Her advice on specific, inexpensive things for us to do to get it looking its best in order to receive top dollar made all the difference. The evidence is that we had multiple offers and sold for above asking. What more could we want? I wanted to take this opportunity to thank you for all your help in securing the property at 41 Edith Drive. Since the property was to be used in a television “flip” show it was important for us to find a reasonably priced house in a good location that required minimum structural change. By setting these criteria we also set a major challenge for you. It required viewing a large number of properties many on short notice, something you managed to do with efficiency and good humor. You managed to help us find a property to meet our objectives and your guidance during the negotiation period was invaluable. It was a pleasure to work with you. Thanks again for all you help. We have just completed the rather daunting task of finding and buying a new home in Toronto. Thanks to Gay’s calm and efficient guidance our search went smoothly and ended very happily with the purchase of an ideal house in central Toronto. The change is a big one for us since we were moving from a smaller city/larger house to a larger city/smaller house. Gay was very tuned into our needs and showed us properties that suited us so there was no wasted time looking at inappropriate houses. Every one of our many questions were answered promptly and professionally. It was great to have an agent who is so knowledgeable about all the details involved in moving. Thanks, Gay, for all your help. Recently, we made the decision to sell our large family home in Rosedale and purchase a condo. nearby. Gay's marketing of the home was impressive - open houses, advertising, website - nothing was left undone. She was always professional and calm, even with setbacks. In selling, Gay's suggestions re pricing, staging of the home,and attention to small details to update the house assured us that our home was at its best for presentation. In buying our condo., Gay assessed our needs and desires well and was able to find us just the kind of place we wanted. We highly recommend Gay Macleod as an outstanding realtor. As a first-time homebuyer in Toronto I needed the patient guidance of a realtor who knew the lay of the land and could identify homes that would suit my ever-changing needs. Gay was a wonderful realtor to work with and incredibly supportive. Everything from finding the the right house to identifying great home inspectors and providing insightful advice - she was there. Thanks for your help Gay. We found Gay MacLeod to be totally professional and sensitive to our feelings. She worked hard for us, to obtain the price we wanted to pay on the purchase, as well as the price we achieved on the sale of our home. Her recommended strategy resulted in eight competing bids. Over the years I have bought and sold many properties, both personally and for business, but this was the best experience with effort and timing because of Gay MacLeod. We would not hesitate to recommend Chestnut Park and in particular, Gay MacLeod. Gay did a fantastic job of finding us a great home close to our children`s school. We spent a few months looking at homes with Gay until we found the perfect one. It needed an overhaul and we needed to find temporary furnished accomodation in the same vicinity. Gay pulled through once again and found us an excellent rental that was two blocks from both the school and our new home. Gay has a great understanding of the Toronto Real Estate market, she`s a strong and focussed negotiator and she made our home buying experience very enjoyable. We are happy to recommend Gay to anyone looking for a home in Toronto, they will not be disappointed. Thanks again Gay. Gay, thank you for being so kind and calm, but mostly an extremely helpful real estate agent. You really helped the process go smoothly. I appreciate how you dug in and helped prepare my home for sale. Keep in touch and thanks again. We would like to take this time to thank you very much, Gay MacLeod, for your thorough, efficient, and supportive professionalism during our house search and buying effort. Thank you so much for finding our ``Dream Home`` for us. You make it look easy - which only reinforces our belief that yours is a tough, demanding job. You have shown great enthusiasm, and have been extrememly patient with all the questions and concerns we brought to you. You were always prepared to have an answer for any type of question and you showed a lot of knowledge in real estate. We will be sure to recommend you to any future homebuyers we know. Gay MacLeod is a pro! She worked with us to purchase a new home in Leaside as well as selling our home in Rosedale. Gay took the time to get to know us personally, as well as our needs, and took the time to show us numerous properties during our search for a new house. She is calm, professional, and a great negotiator. Our new home is wonderful and we could not have done it without her. Our house in Rosedale sold in one week, due to Gay`s excellent marketing skills and connections within the Real Estate community. Gay undertook the appropriate research to determine the asking price, and followed up with us constantly during the many showings and open houses. This really made us feel comfortable, as well as confident that everything was going as planned. We are recommending Gay to all who want to purchase or sell their homes. She will not let you down.